Hotel De La Ferns is located in Tanah Rata. It is very conveniently situated not far from the shops where you can find a lot of places to eat and be entertained. 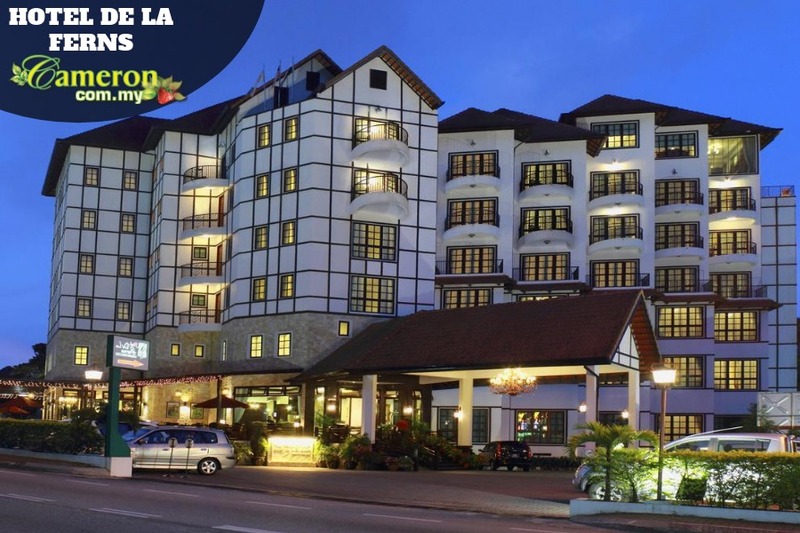 From the Hotel De La Ferns, you will be within walking distance to the bus terminal which can get you to other places like Brinchang and Ringlet around Cameron Highlands. If you are staying here, you will be within reach of most public amenities and services as well which is where the tourism centre and starting points to the waterfalls. Besides that, you can find a lot of banks, cafes and restaurants located around as well for maximum conveniences. Within the Hotel De La Ferns, there are 75 decorated and well-equipped rooms for you to choose from. The units here are all fully equipped and tastefully furnished to offer you a good night’s stay without having to worry about the noise and congested areas outside. The units are very clean and comfortable where you will be able to enjoy free internet access, a television with satellite channels as well as a great view of the outdoors from the footsteps of your own room. The first impression over the Tudor architectural design of this hotel will naturally attract you where there are Deluxe Rooms and the larger Penthouses ideal for groups of guests. The golf course is just a stone’s throw from Hotel De La Ferns which makes it ideal for a perfect getaway for everyone in the family.